We train in a kind and fun way that will enable you to gain the knowledge and experience to become a responsible dog owner. 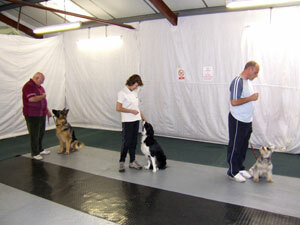 ABC dog training is a family run business situated in Blackpool with indoor training facilities. We have a range of courses to suit your dogs age and ability, all instructors are fully approved dog trainers. All courses are group sessions, individual training is available on request. Please use the links on the left for further information.